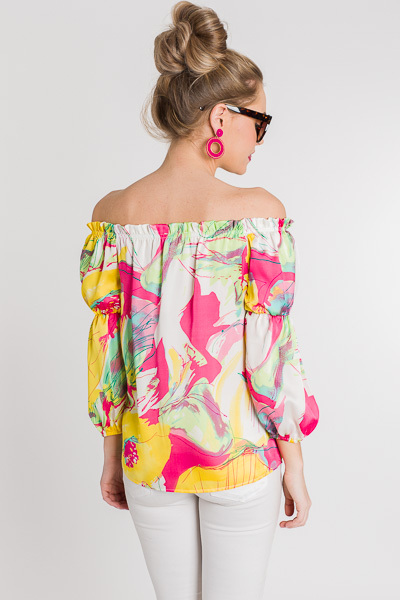 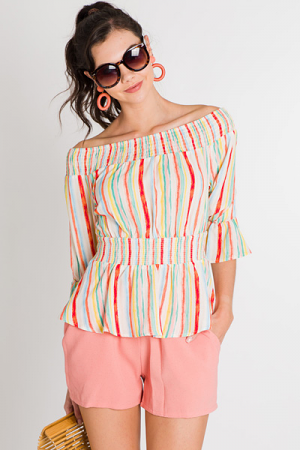 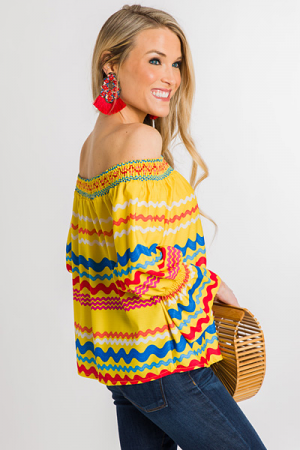 The off the shoulder blouse basically screams spring! 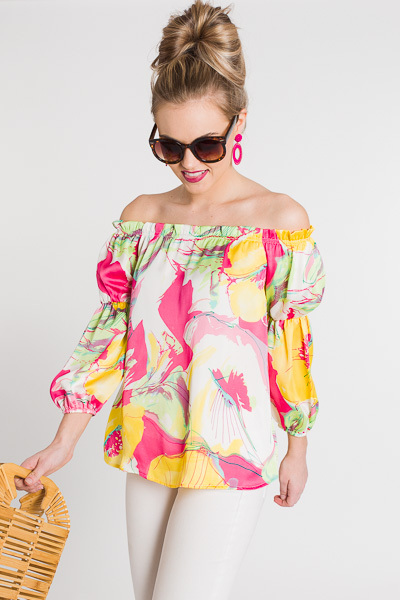 Bright colors, a floral print, and a silky smooth feel. 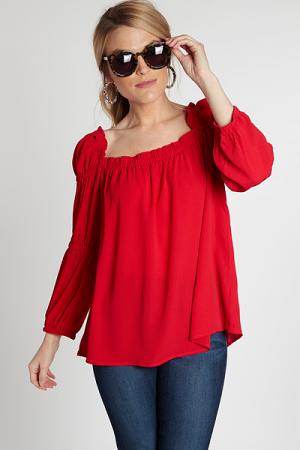 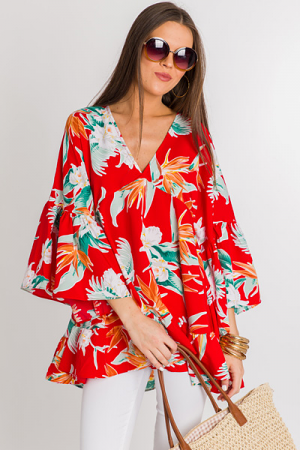 The unique puff sleeves make it even cuter!